Fresno customers can depend on Precision Door Service of Fresno to install and repair their garage door opener, and even replace old models with our own brand of garage door openers. We’re part of a national company, so build on a high level of expertise and customer service. Plus, our Fresno shop has a large inventory of garage door openers from leading brands including Marantec, LiftMaster, Linear, Craftsman, and Chamberlin. Customers know us for our wide selection of steel and carriage style, carriage insulated panel, and glass and wood garage doors. We are also renowned for our prompt, reliable service; 24/7 availability for emergencies; and same-day service so you don’t have to wait for repairs, no matter how big or small. Chain Drive Garage Door Openers: A chain, not unlike a bicycle chain, moves a trolley that controls door movement. It is the most commonly used, although it can be quite noisy. 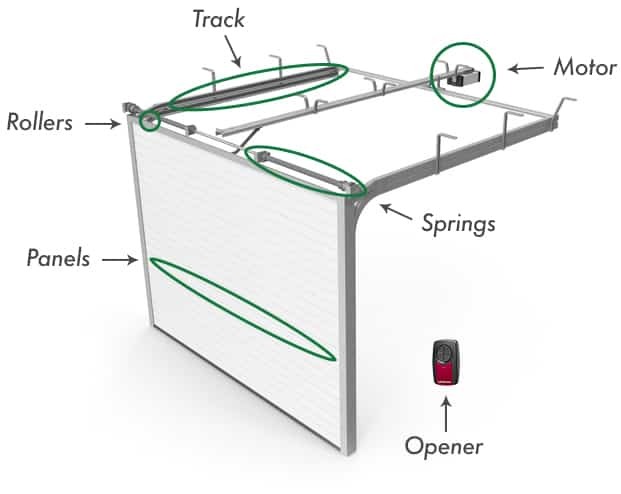 Belt Drive Garage Door Openers: Rather than a chain, a belt drives the door; belt drive openers tend to be quieter than chain drive models, better suiting them for attached garages. Screw Drive Garage Door Openers: Move the trolley via a threaded steel rod; screw drive models require less maintenance because they have fewer parts. Jack-Shaft Garage Door Openers: A more compact design accommodates low-ceiling or cathedral-type garage ceilings, or in areas where there are obstructions. Direct Drive Garage Door Openers: There is no chain, belt, or rod, so the motor engages the trolley directly, with the benefits of low maintenance and quiet operation. Each of the above has pros and cons related noise, maintenance, and space. In addition to the likelihood of requiring garage door opener repair, also consider the features of each individual model. The size of the motor is one; it depends on the size of your door (standard aluminum doors are well-accommodated by a ½ horsepower motor; heavier doors may require a ¾ to 1¼ horsepower model). Some openers have optional battery backup, providing a source of reserve power in case of a power outage. Offering more functionality than a garage door opener remote, Wi-Fi enabled models can be operated via your tablet or smartphone. Keypads can bypass this need entirely and don’t even require a key for you to access your garage. Safety sensors are another convenient modern amenity, protecting people and pets from injury, and garage doors from damage by hitting objects. Allowing more than a remote control, Wi-Fi enables you to view door status, receive alerts, and change settings via an app. Openers can be integrated with smart home systems as well. They may feature smart accessories such as carbon-monoxide sensors, adjustable fans, laser parking assist modules, and Bluetooth speakers. PDS ULTRA 900 Smart Wi-Fi Garage Door Opener: Operated via smart devices, it allows control of access permissions and real-time tracking of access activities. The unit includes a bright LED light. It is also Amazon Alexa and Google Home compatible. PDS-370 Garage Door Opener: This Homelink-compatible model works with Android and iOS apps. An up to 6,000-lumen dimmable bulb is included, as are a smart wall station, wireless keypad, and three-button garage door remote. PDS800® Newton DC Powered Garage Door Operator: An energy efficient opener with variable speed operation that includes a long-range remote control and an illuminated wall station. Designed for quiet performance, the unit features a quick disconnect trolley to manually operate the door. Our technicians can provide garage door opener repair in Fresno if you have a more recent model and parts are available. You might just have a dead battery if the door doesn’t open or close. Call us and someone will inspect the system to determine a solution. If the door works intermittently, there could be a wiring problem our technician can fix. However, unusual noises usually mean something is about to break, and are more typical of older systems. When a door suddenly reverses movement, a sensor malfunction may be to blame. Whatever the problem is, our team is trained to find the root cause and recommend repairs and replacements as needed. Our Fresno technicians are available 24/7, so you can always count on them for repairs. We offer same-day garage door opener service and stock a wide selection of name-brand and our own models, parts, and accessories. Customers also benefit from our easy installation process, starting with a complete written and signed estimate. We also offer a complete walk-through at the end of the job, and a lifetime warranty and 24-hour callback policy. To learn more about our garage door opener installation, repair, and maintenance services, or request a visit, call or contact our friendly customer support team online today. 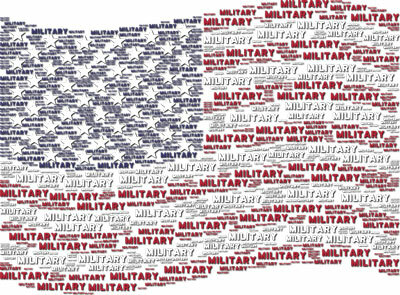 Military is active and retired (any branches).